Last evening, I was half-listening to The Music Man, the soundtrack to the movie, for the one-millionth time. The volume was low, and I was screwing around with an art project and half-contemplating which kind of topping I was going to put on my apple pies. I hummed along to Shirley Jones singing, “Being in Love,” a song that has always made me apprehensive. I have always wondered whether Marian the Librarian gets what she wants, or whether Harold Hill cons her the way he has conned everyone else. “All I want is a plain man. All I want is a modest man. And I thought, Well, damn. She ends up with Harold Hill, who may not be all criminal, but he’s no lover of language and literature and he’s not likely to quote Shakespeare by the fire. And then I hummed along to the first bars of “Gary, Indiana,” imagining Pert Kelton and Robert Preston dancing together in the Iowan backyard of their Iowan farmhouse while Harold Hill’s conning Mrs. Paroo into letting Winthrop join the band. Shakespeare! There it was. An answer, a new detail that shook me out of my complacent half-listening. I had to listen to both songs again, to Google the lyrics. Sure, Harold Hill might have been a conman, but he was all but quoting Shakespeare. He was Marian’s Plain, Modest, Gentle Man—even if he couldn’t quite manage Straightforward and Honest—after all. I remember the first hundred times I begged my dad to play The Music Man cassette tape in our family’s minivan so that I could sing along wherever we drove. I was seven, eight years old, and I loved Marian the Librarian. I loved looking at the little black cassette tape case with its 1960s artwork, I loved the triumphant trumpeting and tromboning, but mostly I loved listening to Shirley Jones as Marian. I loved Marian’s no-nonsense eyebrow furrowing, her stalwart loyalty to her little brother, her sense of justice-through-research. I even loved her sadness. The years I abandoned writing were also the years I ignored The Music Man. The novel I’m working on is based, in part, on The Music Man—not because I intended the connection but because the story and the character of Marian the Librarian are so deeply ingrained in my sense of storytelling and understanding of women’s roles, my desire for strong female characters—an unresolved, unsettled desire, since Marian seems so starry-eyed, so swayed by this persuasive salesman. 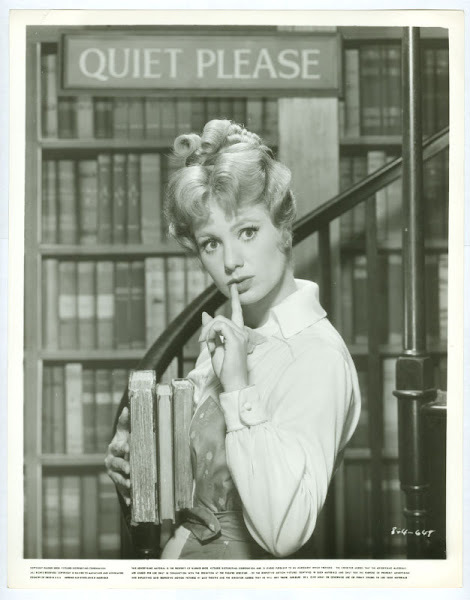 In more recent years we’ve gone to see two live productions of The Music Man (one with Shirley Jones playing Mrs. Paroo), and these days I listen to the soundtrack on Spotify at work, whenever I need a little bit of Iowa, a little bit of Marian the Librarian, to get me through the day. In other words, Meredith Willson is my patron saint. After listening to his show thousands of times, watching it every year at Thanksgiving, I’d been sure I knew just exactly how the characters fit together, figured out the finer details of River City, Iowa and its inhabitants. And yet, here was Shakespeare, a glimmer of something new in this show I thought I knew backwards and forwards. Sitting there, flushed with happy surprise as I listened to “Being in Love” for the 1,000,001st time, I was reminded of reading my favorite books again and again, each time finding new details, new connections, new layers of meaning. This weekend I gave a paper at the Harry Potter Conference at Chestnut Hill College and I was struck by how much Potter readers had gotten from the series, how so many of them had read the books over and over, looking for meaning and looking for themselves. Like good musicals, really good books let their readers tackle them again and again, and allow them to find themselves in those books. Like the Harry Potter series.